I’ve always been conscious of my own distractions, clutter, and often unnecessary mental inventory. Most of these things I’ve inherently kept to a minimum. But I recently wanted to consciously minimize even more. I love simplicity. I love the freedom of the mental inventory to invest thought in whatever I want, not what I have to invest it in. Simplicity and minimalism means freedom. I had too much stuff on my phone. 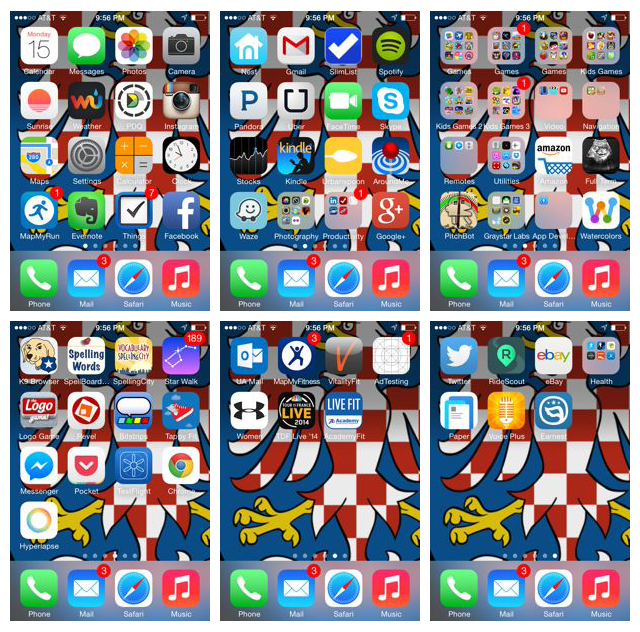 I deleted 100+ apps. There’s still some fat that can be trimmed. 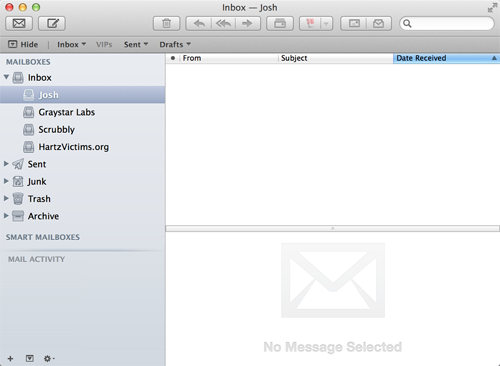 A lot of them were tucked away in folders with the thought that I’d one day use them. I never used them. 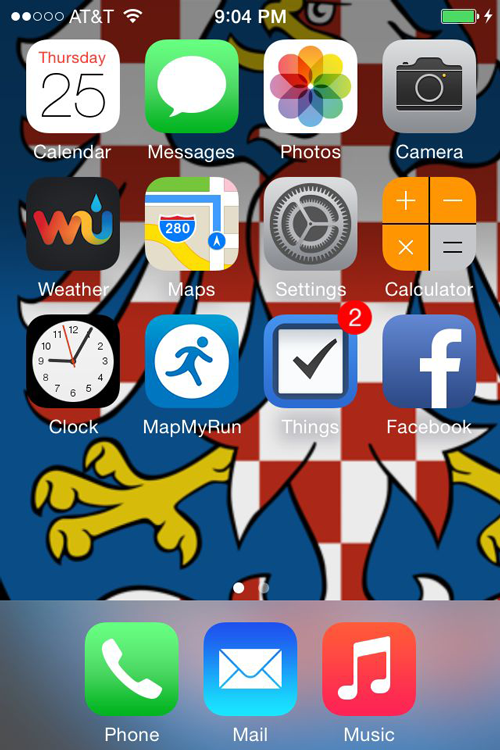 I use a few apps, and I use [most of] them to simplify things. And to communicate. Because it’s a phone. 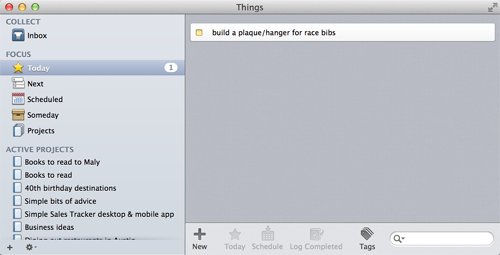 I use my favorite desktop and mobile app called Things as my running to-do list. I like to check things off of my lists. It affords me daily accomplishments. 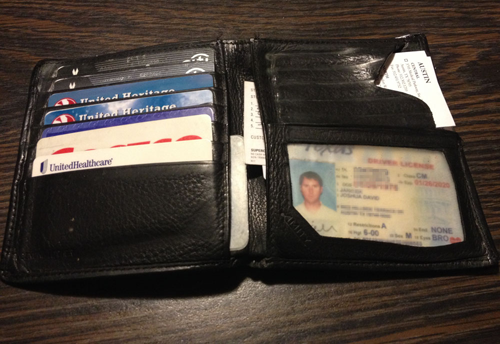 My wallet used to be filled with credit cards, membership cards, expired coupons, receipts, and just stuff. Clutter. I minimized. 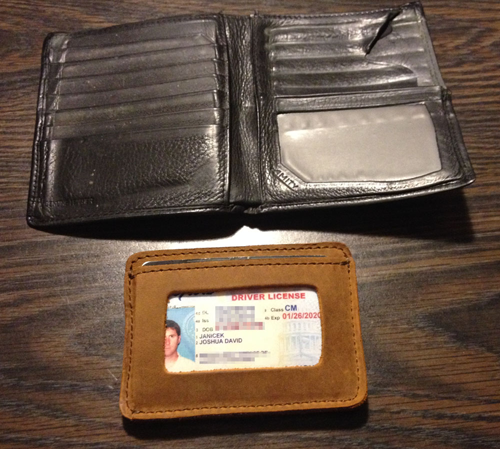 Now I just carry my driver license, the 2 credit cards I use and my insurance card in a hand-stitched front pocket ID wallet.